This album contains a series of different radio broadcasts from the Golden Gate Theatre in San Francisco and the famous Hurricane Restaurant in New York among others. 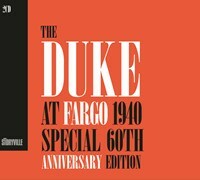 The broadcasts are featured complete with radio speaks and encouragements to buy bonds read by The Duke himself + bonus material and extensive liner notes. 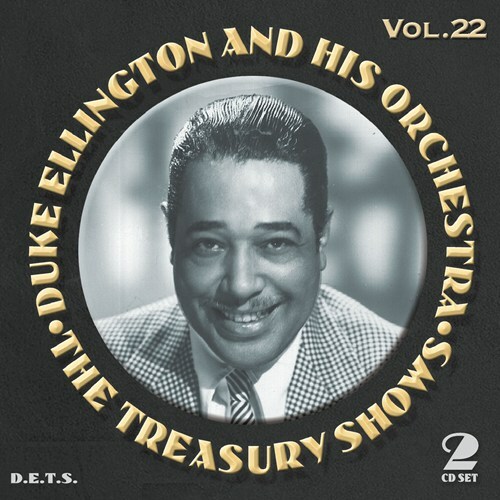 The first disc contains a radio broadcast from the Golden Gate Theatre in San Francisco, recorded on August 3, 1946 with bonus tracks from a session at the Lakeside Park, El Patio Ballroom in Denver, July 1945, 1942. The second disc features a broadcast recorded at Meadowbrook, Culver City, California, August 17, 1946. Included are also three bonus tracks from a radio broadcast at the Hurricane Restaurant in New York City, August 21, 1943. 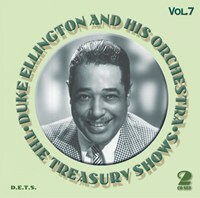 This Treasury Shows addition was recorded amid tensions between the Duke and his record company, a large musician’s strike, the surprising deaths of several prominent band members and political events such as rising racial and social tension and World War II, all of which is meticulously explained in the extensive liner notes by Duke Ellington connoisseur and journalist Roger Boyes. The musical gift of the versatile Ellingtonians always prevails, however—as Boyes for example writes: “”Hodges’ solo [on A Flower is a Lovesome Thing] is three-and-a-half minutes of pure melody, and in the unlikely even that you tire of that, Stryhorn’s accompaniment offers a parallel three-and-a-half minutes of great beauty”. 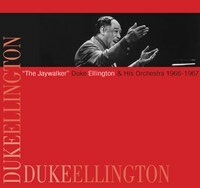 Duke Ellington and his Orchestra always deliver on energy, skill and rhythm. If you like The Treasury Shows, Vol. 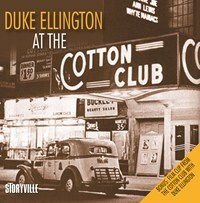 22: Duke Elllington & His Orchestra, please tell your friends! You can easily share this page directly on Facebook, Twitter and via e-mail below.